Madame Zolondek taught me this trick and it's magical for those few students who just can't seem to get reading the 70 and 90 numerals in French. Here are some posters to demonstrate the trick for students. 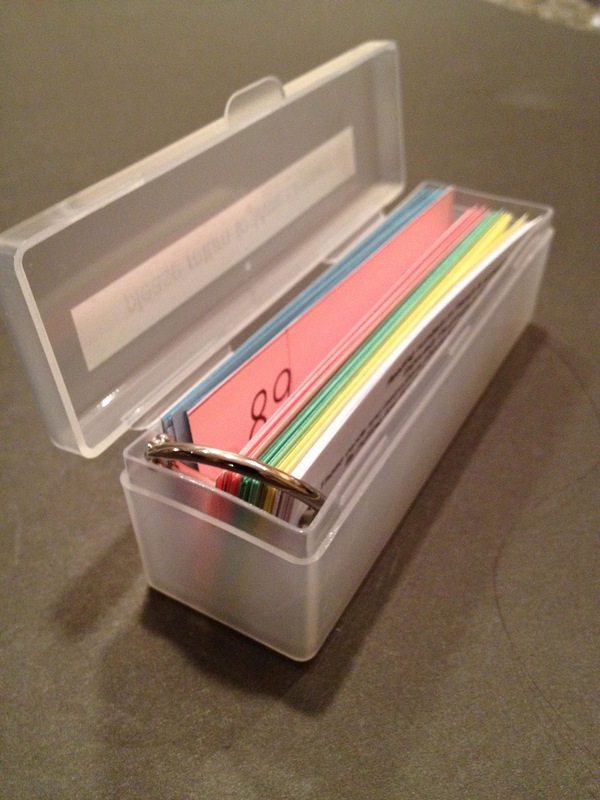 Here are some handy school or home practice card kits. They are printed on different colours of card stock with suggestions on how to use them in English with the idea that parents will also understand the task. They are gathered onto a ring for practice. The plastic containers are butter boxes from the dollar store. 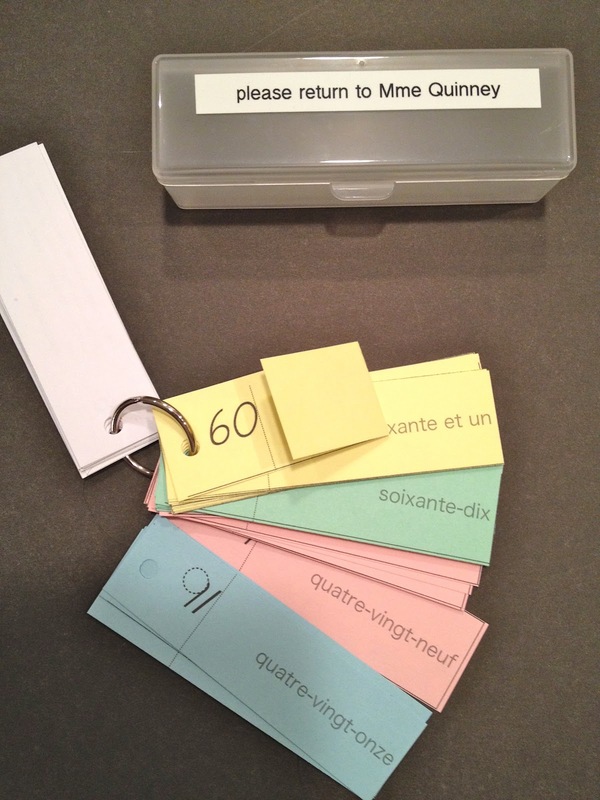 Use these cards for Word Work to practice reading and writing numeral words. Making the kits are time consuming so have them returned when students are through with them. Or, send home the printed sheets and have students make up their own kit.